On Friday 20th March 2015, the far Northern regions of Europe and the Arctic witnessed a total solar eclipse. The diagram at the bottom of the page, produced by NASA (more details here), shows the extent of the total and associated partial eclipses. 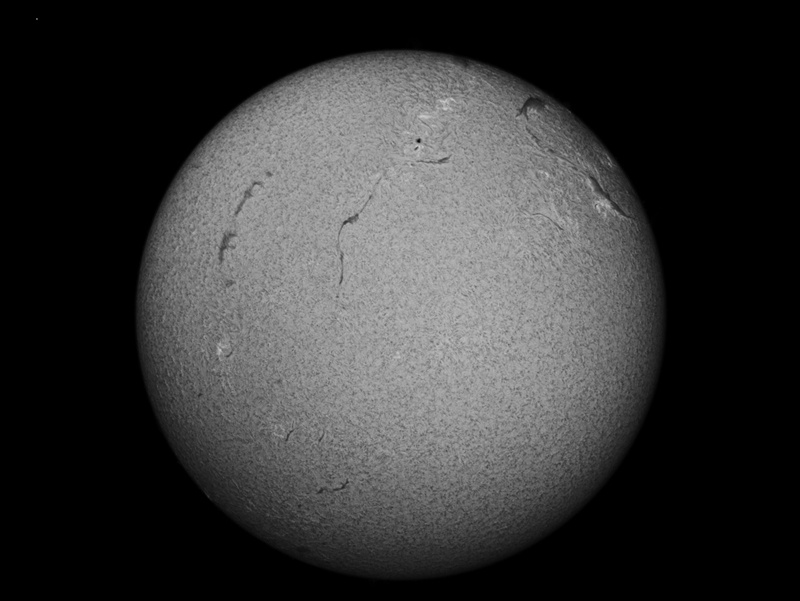 The position of my observatory near Newcastle upon Tyne gave 90% obscuration of the solar disc. The eclipse at this location began at 08:29:33 with maximum obscuration at 09:34:58, the eclipse ended at 10:43:55. Unfortunately, the weather decided not to play ball until just after 10:00am, where a big gap in the clouds arrived, lasting about 20 minutes, revealing the latter stages of the eclipse. 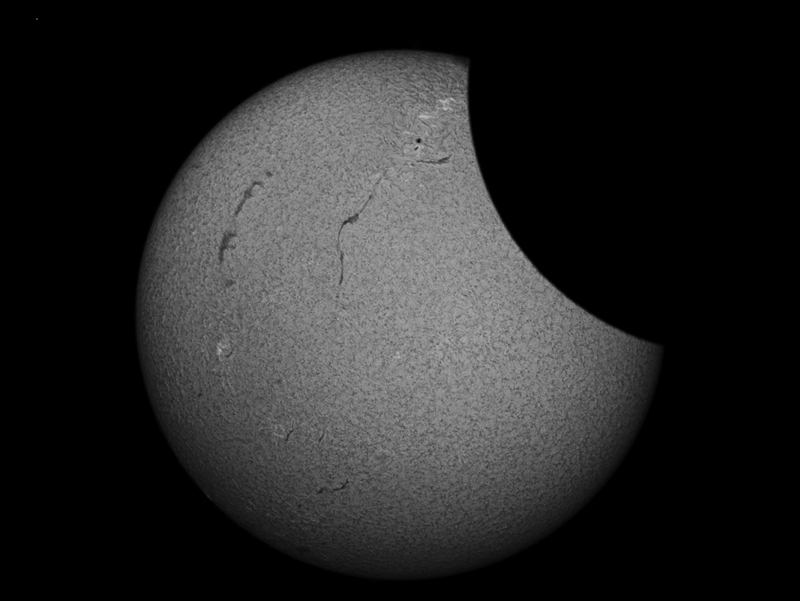 We managed to capture a couple of images in thst time using the Lunt 60mm solar scope and the point grey camera. 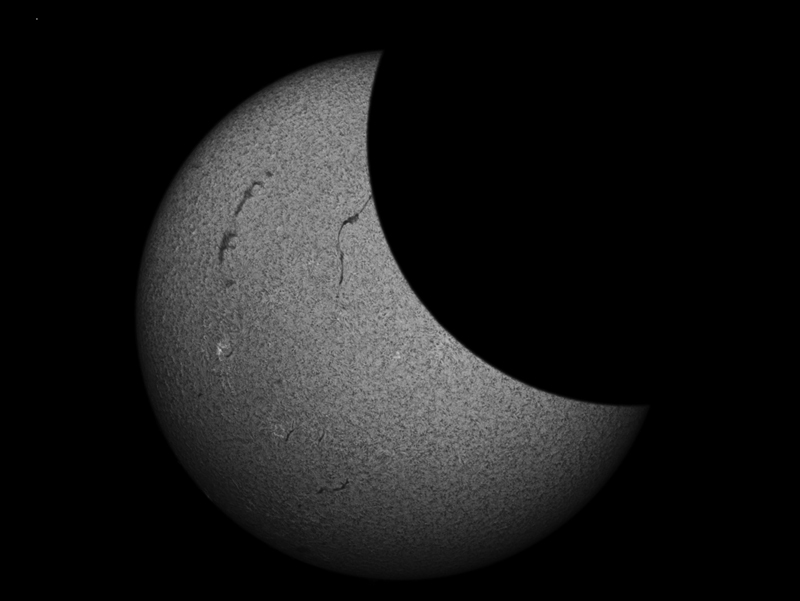 Here are the two images collected (worth sharing), the first is at 10:13 and the second at 10:28, and then finally an image taken at 11:00 when the sky cleared again.